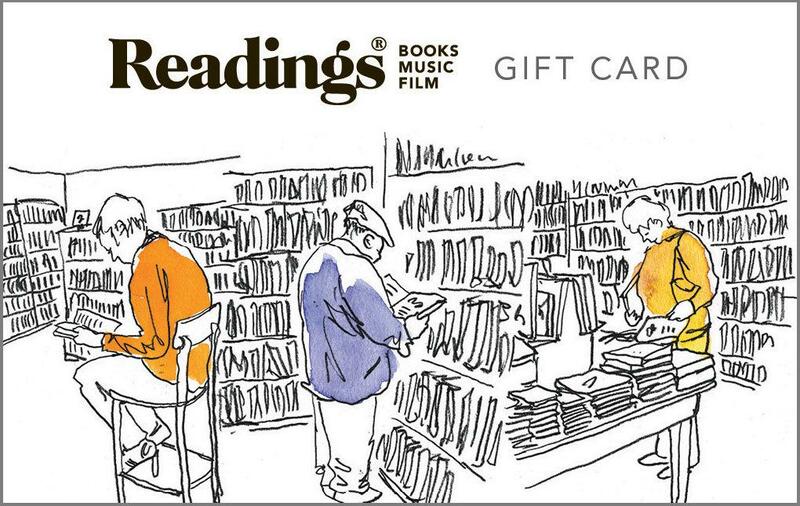 The Readings online gift voucher can be redeemed online or at any Readings shop. When you purchase an online gift voucher, it will be automatically emailed to you. Once a gift voucher is received via email, you can send it on to a recipient’s email or print it off to use in-store. When redeeming a gift voucher online simply enter the barcode on the back of your gift card or the barcode on your online voucher into the ‘Gift card code’ field in the checkout. You will still need to enter your credit card details, but we will only charge you if your order exceeds the value of money your gift voucher is worth or has remaining on it. - When purchased from our website, our gift vouchers are electronic and sent via email. - Even though the gift voucher is electronic, our checkout process still requires that you enter your address details. Don’t worry - your gift voucher will be emailed, it will not be shipped. There is no need to select the express post, gift wrapping or message to the gift recipient options. - The gift voucher is sent as a HTML email. You will need to allow images to download on your email in order to view the barcode. - If you are purchasing multiple vouchers, each voucher will be sent to you as an individual email. - If your gift voucher has not arrived in your inbox with 15 minutes of purchase, please check your junk, spam or promotional folders. If it still does not appear to have arrived, please contact our web fulfilment manager at garry.mansfield@readings.com.au or Ph: 03 9341 7729 immediately.